Famous for her time as the chief business, economics, and technology correspondent for ABC News. She has also gained fame for her ABC TV series Real Biz with Rebecca Jarvis, and as a finalist during season 4 of The Apprentice. She graduated from the University of Chicago with her bachelor's degree in Law, Letters, and Society and economics in 2003. She was named to Teen People's 20 Teens Who Will Change the World list in 2000. She won her second Daytime Emmy Award in 2017 for outstanding morning show for her work on Good Morning America. 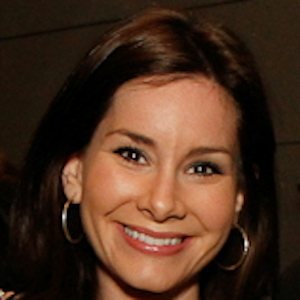 She began hosting her podcast No Limits with Rebecca Jarvis in 2017 through ABC News. She married her husband Matthew in January 2012. She has frequently reported alongside George Stephanopoulos for ABC News.